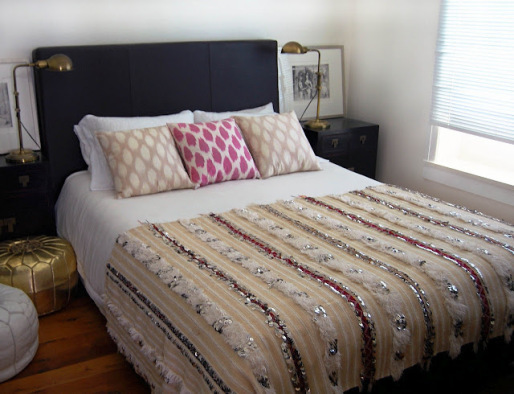 Styling with Moroccan Wedding Blankets! Ever since I visited Morocco a few years ago, I have fallen deeply in love with wedding blankets and I have been seeing them everywhere! At first glance, you might be a bit overwhelmed by all the shag and sequins, I know it can be a lot, but they are truly a work of art! Styled correctly they make for the perfect statement piece in a room! Use as a rug in a formal dinning room! Such a fabulous feminine touch! 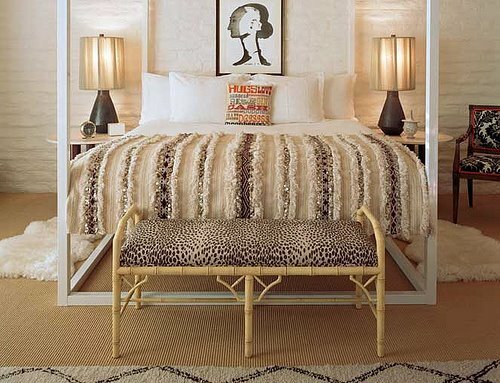 That is what we call a statement on a bed! Use as a wall piece! This is a work of art!!! Okay, if you are lucky enough to have a tub like this if needs to be accompanied by a wedding blanket! 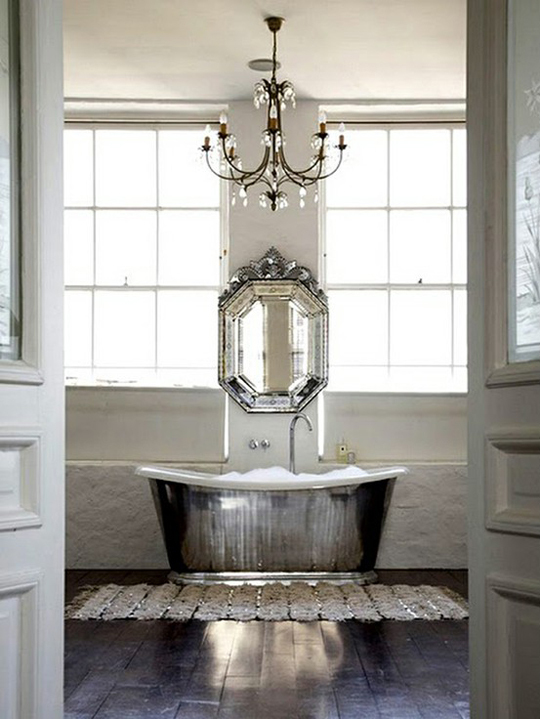 Or if you have space in master bath, look how glamorous this looks! 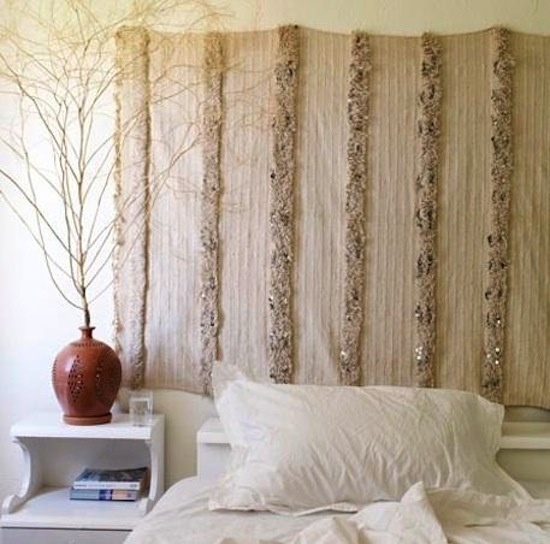 Spice up that all white bedding! 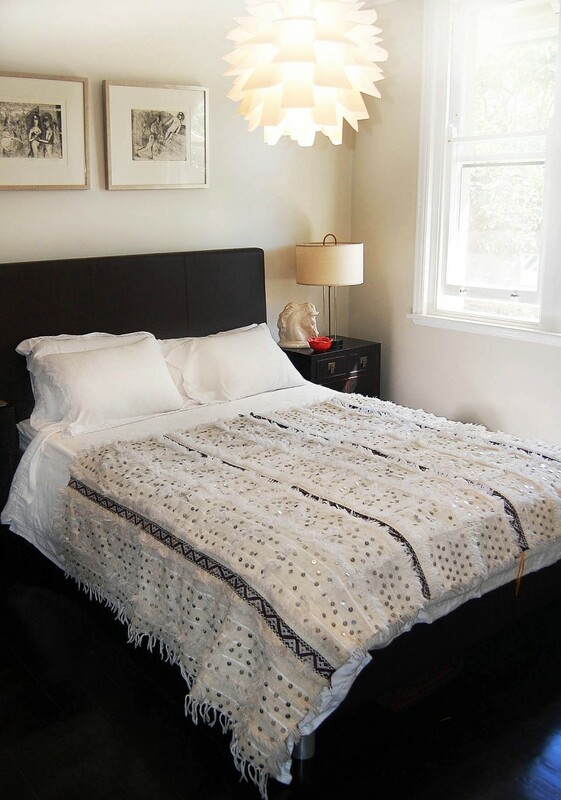 SHOP MAVEN WEDDING BLANKETS HERE!!!! i am very inspired! love it on the wall. I wouldn’t have thought of that! its not going to stay nice for long on the bathroom floor is it! !